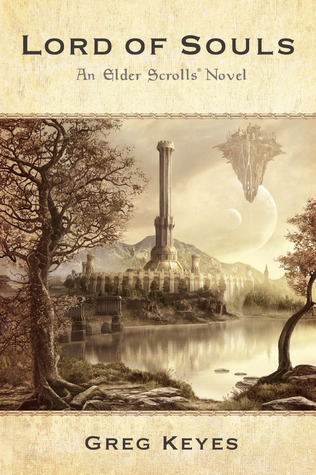 I read some game books from Warcraft written by Christie Golden, Greg Keyes’ Elder scrolls novel and another one of Dayal Pattersons black metal histories. What is true is that the author really takes the time for the gaps and therefor leaves little room for describing the in-game events, specially towards the end. It feels like a sudden sprint to the Frozen Throne (you know what I’m talking about) through Ahzjol-Nerub in just a few pages. Remember that first target reader, for that reader this is very bad reading material, because sense it makes none. There’s also a symbolic element in the story, that never really comes to fruition. Christie Golden is a great writer, but even though this was highly succesful, I believe she could have done better. Still, well worth reading and almost required for the lore-lovers. Since the Elder Scrolls book I read the other time was part one, I guess it only makes sense that I continued with part II. I think it was dragging out the adventure a bit too long, because I go very dishearthened at some point and reading it didn’t seem as much fun anymore. Still, I did continue it and sadly the end of this was also not what I expected. I normally try to say quite a bit about a book, but in this part the story just continues. You’d expect to find a good reason why the story is split into two books, but that never really seems to make sense. There’s not more depth to the key players, no new additions to speak of and basically just a long stretch of wrapping up the story in a rather clumsy way. I guess my fanboyism is not great enough for this. Since I quit playing WoW during the great years of Wrath of the Lich King, I never got to experience the Cataclysm content in its prime. I in fact skipped this whole part in favor of playing other things, doing other things and working. 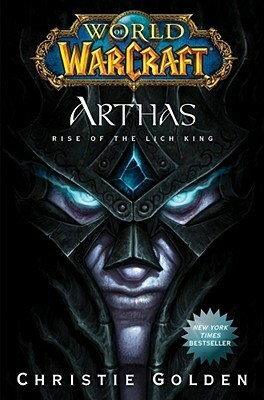 That being said, I know that Cata was an expansion with a lot of lore invested in it. This book by Christie Golden is part of that build-up, reading it in hindsight might be a bit disappointing, but still worth it. I always lack the same things in the novels by Golden, I miss a certain amount of action and character depth. There’s a lot of expressions and inner monologues, but it always stays on the surface. Even the blossoming romance between Thrall (Go’el) and Agra is in a way never going deeper (only through ceremony a sort of spiritual expansion is mastered). That being said, the book offers an intriguing build-up to what was about to happen in game, which could also be found in Night of the Dragon. Is it a real addition? 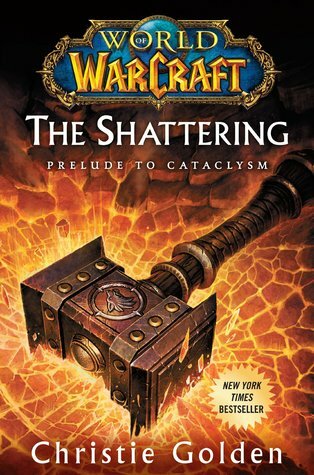 Not really and it bums me that the death of one main character becomes such a footnote in the history of Warcraft. Though this is not a real big read, I felt it was worth mentioning. In his histories of black metal Dayal Patterson found room to gather up some of his nicest interviews for an appendix piece of those. It’s a really cool read and still rather recent material. It gives some more depth to elements in the books and allows the artists to share some words themselves. This is a well worth addition for anyone rading the stories about this nocturnal cult. If you are keen on this, please visit their website and buy your copy straight from the makers. Support this awesome project. Thanks.